Insulcap® is an insulated pallet cover efficiently protects temperature sensitive goods from extreme heat or cold by reflecting glaring sunlight and maintaining consistent temperatures with the 7-layer Insul® insulation technology. 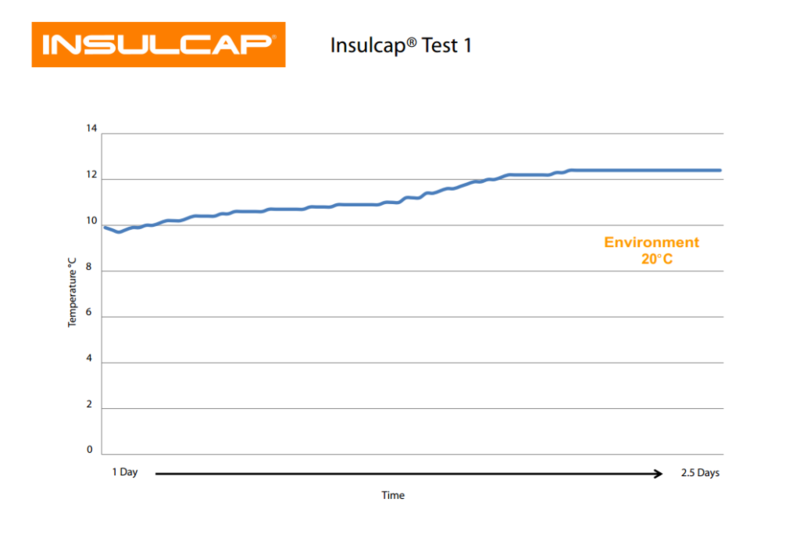 The Wilpak Group has tested Insulcap® under a variation of conditions with multiple companies and products. 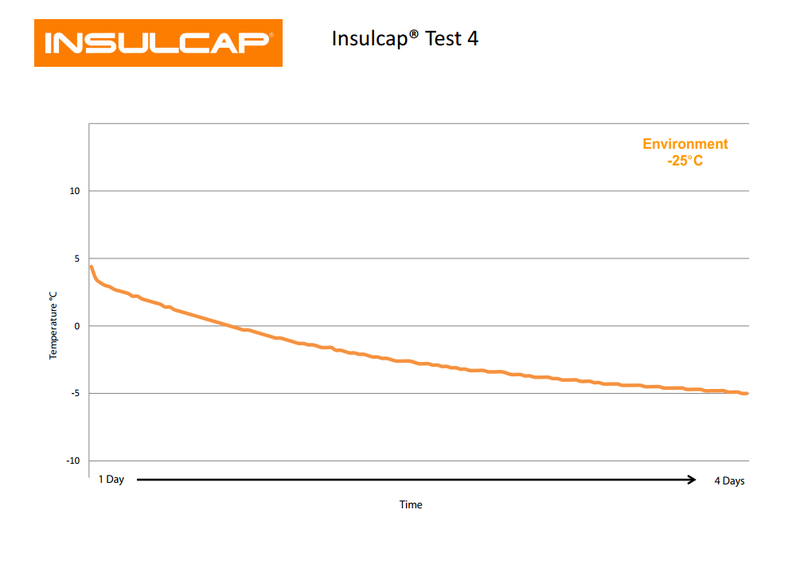 These tests demonstrate Insulcap®’s ability to maintain an optimal pallet temperature over a long period of time. 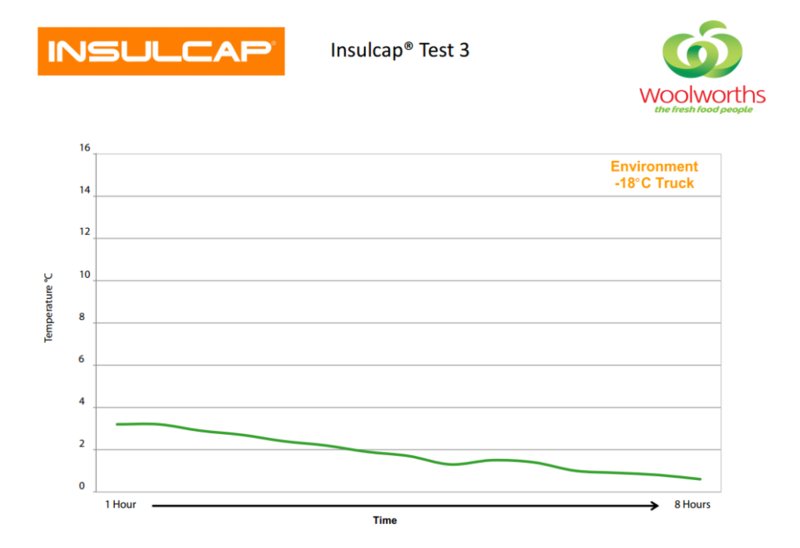 A yoghurt product wrapped in Insulcap® was kept in an industrial freezer at a consistent chilled environment of -25°C for a period of 4 days (96 hours). Yoghurt completely freezes at temperatures of below -18°C *. Therefore it would be undesirable for the temperature of the yogurt products to be above 10°C (as it would spoil) and below -18°C (as it would freeze and lose its soft quality). The Insulcap® 7-layer insulation technology maintained a consistent and optimal temperate for the yoghurt products (between 5°C and -5°C over the 4 days). Company: Woolworths, major supermarket chain in Australia. A sample of Mincemeat was left unattended in the loading dock of a major cold store for the duration of 2.5 days (a situation that is a bit too common). The temperature of the dock was an ambient 20°C. Optimally mincemeat for human consumption has to be stored between 0-3°C*. The mincemeat maintained a temperature between 10°C to 12°C. If it weren’t for Insulcap® the mince would be deemed unsafe for human consumption. The Wilpak Group International is a privately owned Australian company, improving world health since 2003.